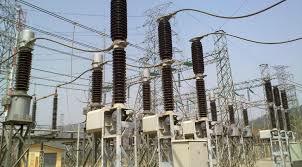 The National Power Training Institute of Nigeria, NAPTIN, on Monday commenced the training of 600 engineers of the Transmission Company of Nigeria,TCN under the joint collaboration between NAPTIN and TCN. Mr. Ahmed Nagode, the acting Director-General of NAPTIN, said the capacity building training of the Transmission Service Providers, TSP staff of the TCN was put together to broaden their knowledge on effective service delivery. He lauded the support of the Minister of Power, Works and Housing, Mr. Babatunde Fashola, for ensuring stronger synergy among power sector institutions, to boost efficiency and productivity. Nagode acknowledged the Managing Director of TCN, Mr. Usman Mohammed, for his invaluable support and belief in NAPTIN.